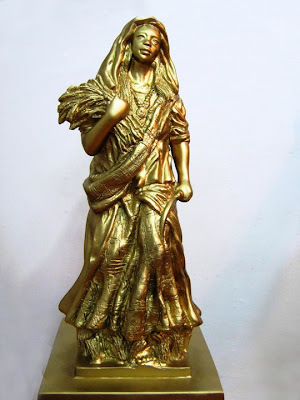 The "Lin-ay" actually is a 15-foot statue of an Ilongga lady that will be put on top of the dome of the new City Hall, which the honorable mayor of Iloilo City - Jed Patrick E. Mabilog wants to make this as an icon of the city. 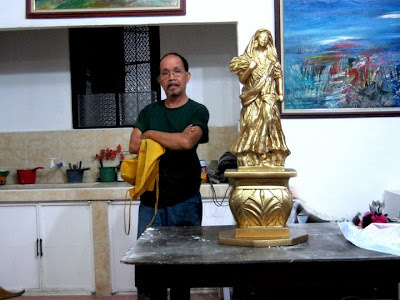 This Statue of Ilonggo Pride, is another obra of renowned multi-media visual artist, Professor Edward Defensor. The woman statue wears a “Patadyong” skirt and a “Sablay” made of Hablon, products of the then flourishing weaving industry in Iloilo. On its chest is an ethnic necklace symbolic of the rich ethnic culture of Iloilo, also a symbol of being a descendant of the royal line of Datus and a denizen of Iloilo’s internationally known folk-history. The "Lin-ay" is standing on a squarish pedestal, festooned with ethnic designs, but most importantly, the four sides will be sculpted with images of the four major economic components of Iloilo--rice farming, sugar cane farming, fishing, and the industrial component. She will be completely in bronze, and like the Lady of Freedom of Washington D.C. will also serve as a lightning rod. Upon completion she will be the biggest statue in Iloilo City and the whole of Iloilo province, and our first important cultural edifice since the Arroyo fountain which was put up in the early 1900s. The 7th Sinamba sa Paraw Regatta grand champion, Grupo del Oeste of West Visayas State University’s College of Physical Education, Sports, Culture, Arts and Recreation, has bagged the chance to perform in the upcoming Aliwan Festival. The annual festival organized by the Manila Broadcasting Company will be held this April in Metro Manila. 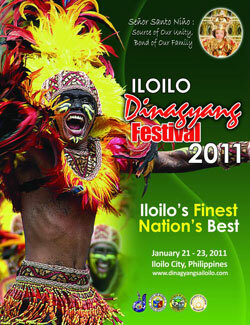 It features various Philippine festivals. According to Tourism Regional Director Edwin Trompeta, the grand winner of the recent Dinagyang Festival, Tribu Pan-ay of Fort San Pedro National High School, is also expected to compete in the Aliwan. Grupo del Oeste defeated Grupo Fuerte Baile of Fort San Pedro National High School -- last year’s champion. This year, Grupo Fuerte Baile was adjudged first runner-up. It also bagged the best in costume and best in production design minor awards. Grupo del Oeste also won the best in music, best in choreography and best in performance special awards. Meanwhile, Grupo Mesa Latinos of La Paz National High School was adjudged second runner-up. Grupo Las Brillas of Iloilo City National High School was declared the third runner-up. The best in parade award was handed to Grupo Las Brillas. The best in float and best in duo performers special awards were awarded to Grupo Mesa Latinos. 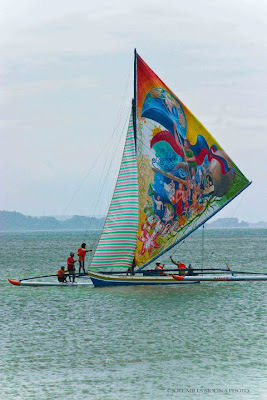 Sinamba sa Paraw Regatta is one one of the side events of the Paraw Regatta Festival, now on its 39th year of sailing. It was the Jesuit priests of Santa Maria Parish that incorporated Chinese Family Ancestral Rites as part of the liturgy of the Holy Mass. However, during the celebration of the Chinese New Year Mass, not only the ancestral rites are done by the Chinese Family Associations, but colorful Chinese ethnic dances are performed during mass offerings. 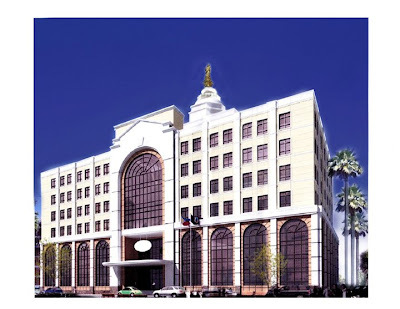 In 2002, a formidable but visionary lady, in the person of Mrs. Fanny Lao Uy, president of theIloilo Multi-Sectoral Business Organization, Inc. invited the then newly installed Chief Executive of the City of Iloilo, Mayor Jerry P. Treñas to attend the Chinese New Year Mass at the Santa Maria Parish, to show the City Mayor how the Ilonggo Chinoys celebrate the Spring Festival or the Chinese New Year. 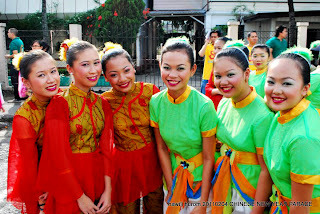 Mrs. Uy saw this celebration as a venue for introducing the Chinese culture to the Ilonggo community. She was so inspired by the way fellow Chinoys celebrate the coming of the Lunar New Year, that she saw this to be an opportunity to strengthen the ties between the Chinoys and their brother Ilonggos. With the help of the Sta. Maria Parish priest, Fr. Manuel Uy, SJ, Mrs. Fanny Uy, and two local prominent Chinoy business organizations, the Filipino Chinese Chamber of Commerce of Iloilo, Inc. (FCCCII) and the Federation of Filipino Chinese Chamber of Commerce of Panay, Inc. (FFCCCPI), the Hon. Jerry P. Treñas, initiated a city-wide celebration of the Chinese New Year making it the very first celebration of its kind outside Metro Manila. He created an ad hoc task force which was later named as Task Force Chinese New Year. The Honorable Mayor wrote a letter of invitation on January 16, 2003, requesting the FCCCII, FFCCCPI, the Filipino-Chinese community, and the Chinese-Filipino schools to help in the first Chinese New Year Celebration of the City of Iloilo. It was also during this momentous affair that the City Government would publicly recognize the efforts of Chinoy organizations and Chinoy Ilonggos who have made contributions to make Iloilo City better and more culturally attractive. Iznart Street of Iloilo City was chosen as the first venue of the celebration because it is where one will find most of the stores of the Chinoy retail businessmen. This street is known to the “locals” as Chinatown, just like Ongpin Street in Manila. Thus, Iznart was spruced up, decorations were put up, and all the stores cooperated by hanging authentic Chinese lanterns to signify and welcome the lunar year celebration. In 2003, three schools participated in the program. 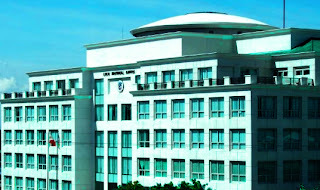 These were the Iloilo Central Commercial High School, Iloilo Sun Yat Sen High School, and the Santa Maria Catholic School, now known as Ateneo de Iloilo Santa Maria Catholic School. To lend a more festive atmosphere, the Task Force invited the Iloilo Hotel, Restaurants & Resorts Association (IHRRA), an organization affiliated with IMSBOI to complete the celebration with a Chinese Food Festival. A variety of authentic Chinese cuisine was offered, so that one can buy and/or eat tikoy, sio pao, sio mai, oh chian, oh ke, chay taw ke, kim kuy ke, lo mi, ma mi, lum pia, ma chang, kiam pheng and also savor the hot and spicy makee. And to the delight of the Ilonggos, the celebration ended with a fantastic fireworks display, which is a traditional way of welcoming the lunar new year. Because the 2003 celebration seemed to have attained a degree of success, Mayor Jerry Treñas again initiated a similar celebration by calling the Task Force Chinese New Year to convene in preparation for the coming of the Year of the Monkey in 2004. It was in 2005, however, when Mayor Jerry Treñas thought of expanding the Task Force Chinese New Year into a formal association, still with the FCCCII, FFCCCPI and IMSBOI as pioneer members. The organization was called the Iloilo Chinese-Filipino Cultural Association (ICFCA). The president of FFCCCPI then was Mr. Henry Chusuey who became its first chairman; while the president of FCCCII, Mr. Felipe Uygongco, became the first Vice Chairman. All Chinoy Family Associations were also requested to participate. The task of providing cultural presentations was, however, given both to FCCCII and FFCCCPI. This decision came about because both organizations manage and own two prominent educational institutions in the City of Iloilo. FCCCII is the founder of the Iloilo Central Commercial High School, and FFCCCPI is the founder of Iloilo Sun Yat Sen High School. It was also decided that both organizations shall host and anchor the annual celebration alternately. In the succeeding years, the Chinese New Year celebrations were greatly anticipated by everyone. 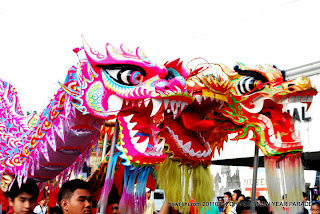 As the Ilonggos await the Kasadyahan and Dinagyang Festivals, Chinoys and Pinoys also await with similar degrees of excitement the colorful surprises of the Chinese New Year. It is very heartwarming to remember that throughout the years of the celebrations of the lunar new year, from 2006 up to the present, world class pyrotechnics displays being sponsored through the years by SM City Iloilo, and “live bands” playing up to the wee hours of the morning, gave a fitting culmination to the cultural presentations. Likewise, it is noteworthy to mention that in 2007, Bacolod City in Negros Occidental, also introduced “Bacolaodiat”, a similar celebration of the Chinese New Year in their City. 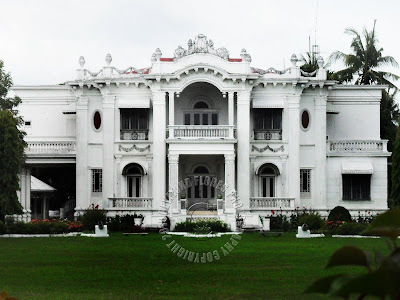 From a vision of one dynamic businesswoman was born a cultural event that is now considered as one of the major tourist attractions in the City of Iloilo. The Chinese New Year is an event that celebrates the cultural diversity of the Chinese Ilonggos; and even without the aid of a “Chinese astrologer,” both Chinoys and Pinoys believe that “the celebration of the Lunar New Year, ‘Chun Chiat,’ or Spring Festival in the City of Iloilo is here to stay.” Its magnitude and color may vary from year to year, but the celebration will be one that every Ilonggo will look forward to. Moreover, its underlying message of peace and happiness for family members, friends, and the community will definitely continue, because this celebration is beyond politics, religion, family or business association, or racial roots. 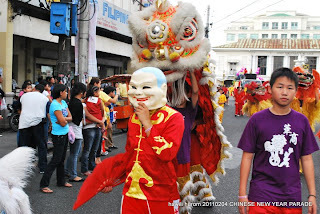 The Iloilo Chinese New Year is a grand celebration for everyone!